Happyland2u Bio Sanitary Pads Beauty Comfort - Bio Sanitary Pads for Daily Used Pantiliner 1 Bag/10 Pack. Long 16 Cm. Bio Sanitary Pads Beauty Comfort for Daily Used Pantiliner Enriched with pure natural herbs and covered with soft cotton like surface to provide dryness. women can feel confident and fresh all day. Beauty comfort designed for supporting women in their daily life-style. Natural herbs help to protect moisture and bad odour. This is why modem women choose Beauty Comfort Pantiliner. 1.Feeling confident.. .everyday,Dry Clean and Comfortable. 2.Streamlined Ergonomic design for every movement. 4.Produce from natural fabric feeling soft touch, fit for every shape much more confident. 5.1 Bag/10 Pack. Long 16 Cm. If you have any questions about this product by Happyland2u, contact us by completing and submitting the form below. If you are looking for a specif part number, please include it with your message. 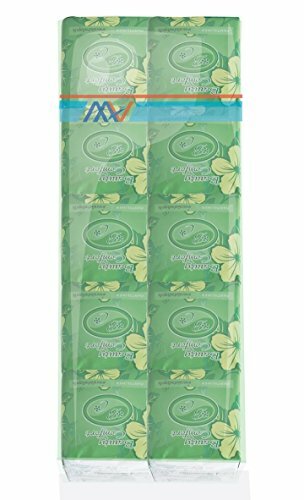 Happyland2u Bio Sanitary Pads Beauty Comfort for Normal Flow.1 Bag/10 Pack. Long 24.5 Cm. Happyland2u Bio Sanitary Pads Beauty Comfort for Heavy-flow. 1 Bag/8 Pack. Long 30 Cm.